Jurnee Smollett. 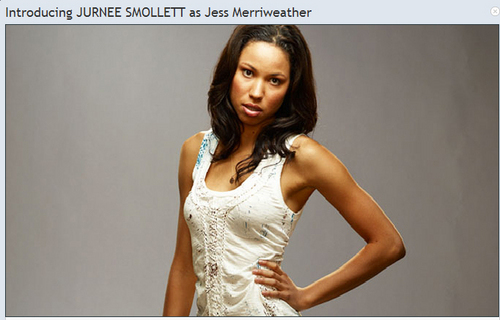 Season 4 promotional afbeeldingen of Jurnee Smollett as Jess Merriweather. Wallpaper and background images in the Friday Night Lights club tagged: friday night lights season 4 promo promotional jurnee smollett jess merriweather. This Friday Night Lights photo might contain diner jurk, diner toga, formele, avondjurk, formeel, diner-jurk, cocktailjurk, schede, strapless, and blote schouders.